Hold These Truths tells the story of Japanese American Gordon Hirabayashi’s fight against the United States Government order to forcibly remove and mass incarcerate all people of Japanese ancestry on the West Coast. A true story in the form of a one-man-show, Hold These Truths is based on the life of an American citizen of Japanese ancestry who resisted the U.S. government’s order to report to internment camps early in World War Two. Gordon Hirabayashi always knew he was different. When he was a young man in 1943, and Japanese- Americans were being forced into camps, Gordon chose to fight US Government action rather than obey an order he felt was unlawful. His experiences in the courts and camps of the time sparked a passion for the U.S. constitution, and how it is our duty to uphold it. Helmed by Leslie Ishii, Greg Watanabe plays Gordon Hirabayashi and 36 other characters in Hold These Truths, which recently had performances at the Perseverance Theatre in Douglas, AK through December 4, 2016. Capital City Weekly’s theater critic Geoff Kirsch writes, “Instructive, entertaining and thought provoking in any context, Hold These Truths takes on a whole new significance opening ten days after Election Day. Echoes of stories in the current news cycle are unmistakable, specifically proposals for ethnic registries and mass deportations, as well as the sudden, unexpected ascendency of politicians who champion these policies. Fresh from a Broadway debut in Allegiance, actor Greg Watanabe nimbly portrays Hirabayashi’s principled stand against both the government and the country’s prevailing sentiment of fear—“I seek to live such that the ought-to-be is.” During the play’s 98 fast-paced minutes (no intermission) Watanabe also assumes the role of other characters from the story, including his parents and friends, lawyers, judges, police officers, army brass and even several Supreme Court justices. With set design by Akiko Nishijima Rotch, costumes by Sara Ryung Clement, lighting design by Art Rotch, sound design by John Zalewski; Jessica Jones is the stage manager. Critically-acclaimed runs of Hold These Truths recently ended at Portland Center Stage and the Guthrie Theater. Hold These Truths had its world premiere at LA’s East West Players in 2007 and its off-Broadway debut with the Epic Theatre Ensemble in 2012 (Drama Desk Nomination of Outstanding Solo Performance). It has since been performed at Seattle’s ACT Theatre, PlayMakers Repertory, People’s Light & Theatre, Honolulu Theatre for Youth (co-produced with Daniel Dae Kim), Terra Nova Collective, Silk Road Rising/Millennium Park, Coachella Valley Rep. and Plays and Players. Gordon Kiyoshi Hirabayashi (1918-2012) was an American sociologist best known for his resistance to the Japanese-American internment during World War II. He was one of the only three to openly defy it. After being convicted for curfew violation he was sentenced to 90 days in prison. The verdict was appealed all the way to the U.S. Supreme Court in the case Hirabayashi v. United States (1943). They unanimously ruled against him. He later spent a year in federal prison for refusing induction into the armed forces after they had sent out a racially discriminatory survey to Japanese-Americans demanding renunciation of allegiance to the emperor of Japan. In 1987, the U.S. Court of Appeals Ninth Circuit overturned his conviction from 1943. In 2012, President Barack Obama posthumously awarded the Presidential Medal of Freedom to Hirabayashi for his principled stand against Japanese-American internment. Thursday, January 5, 2017 @ 7:30pm Pay-As-You-Can Preview, with post-show discussion. Sunday, January 8, 2017 @ 4:00pm, post-show discussion with playwright Jeanne Sakata. As part of the opening weekend festivities, there will be a screening on Monday, January 9th of Greg Chaney’s documentary THE EMPTY CHAIR with panel discussion at The Anchorage Museum, 6:30pm. Greg Watanabe recently made his Broadway debut in Allegiance. Off-Broadway credits include THE BALLAD OF YACHIYO (The Public), and GOLDEN CHILD (Signature Theater). Recently, he appeared in EXIT THE KING (Shakespeare Theatre of New Jersey) and A SINGLE SHARD (People’s Light). Other regional credits include the world premiere productions of THE SUMMER MOON (A Contemporary Theater), THE HAPPY ONES (South Coast Repertory Theater, L.A. Drama Critics Circle nomination, Best Featured Performance) and EXTRAORDINARY CHAMBERS (Geffen Playhouse, Ovation nomination, Best Featured Actor). Others favorites include YELLOW FACE (Mo’olelo Performing Arts Company, San Diego Theater Critics Circle nomination, Outstanding Lead Performance in a Play), NO-NO BOY (adapted by Ken Narasaki) Greg is member of the 18 Mighty Mountain Warriors, an Asian American comedy troupe. 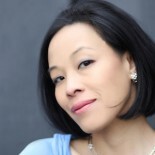 Leslie Ishii is a stage director, arts educator and actor. At East West Players (EWP), she supported the launch of their 2042: See Change Campaign which included the 51% Preparedness Plan for the American Theatre, their national equity/diversity/inclusion initiative. Leslie has directed at EWP and is a longtime faculty member in the EWP Conservatory, serving Pan Asian and Pacific Islanders of Southern California. It is here where she shares her liberation and alliance building curriculums integrated with acting, voice work, and theatre making training. Ishii is in her ninth season as a Project Faculty for Center Theatre Group’s (CTG) Young Audiences Program (YAP), where she integrates her alliance building approach into Audience Engagement and YAP curriculums, teacher-conferences and in-school visits throughout greater Los Angeles. With CTG teaching artists, Leslie is co-organizer/founder of a Los Angeles equity/diversity/inclusion task force that presented the breakout session Allies Eliminating Racism In Theatre at the Theatre Communication Group’s (TCG) National Conference, Boston, June 2012. This breakout session led to TCG’s first ever Fall Forum Conference on diversity and inclusion and the launch of their Equity/Diversity/Inclusion Institute, November 2012, where Leslie was a co-facilitator of both. Ishii is a guest director, professor, lecturer, panelist, and mentor at universities, colleges, and conservatories and has also co-organized and co-directed Freedom and Focus International Fitzmaurice Voicework® Conferences in Barcelona, Spain and Vancouver, Canada, bringing together national and international acting, voice and speech trainers. Leslie has also been a featured presenter at national and international artistic and research conferences in Vancouver, BC, Mexico City, Mexico, Barcelona, Spain, and Vienna, Austria reaching university, college, and conservatory practitioners/researchers. Ishii has been seen in every genre of film and tv, from major motion pictures to independent films to recurring on hit tv shows and soap operas. She has also shot national and region commercials, industrials, and has appeared in numerous print ads. Leslie is enormously grateful to have continued to work in the theatre since starting at the Northwest Asian American Theatre in Seattle and graduating from the American Conservatory Theater. Upon graduation she worked on Broadway, in regional theatres and supported the development of numerous plays in readings and workshops. SDC, SAG-AFTRA, AEA. She is an Arts For LA ACTIVATE Cultural Policy Cohort and a James P. Shannon Leadership Institute Cohort,a recipient of the Teachers Making A Difference Award; Commendation by the City of Los Angeles, 2010. This entry was posted on January 5, 2017 by Lia Chang in Asian American Issues, Asian American Pioneers, Entertainment, Japanese American History, Japanese Culture, Theater and tagged Alaska Center for the Performing Arts, Backstage Pass with Lia Chang, civil liberties, Dawn's Light: The Journey of Gordon Hirabayashi, Epic Theatre Ensemble, Gordon Hirabayashi, Greg Watanabe, Guthrie Theater, Japanese Americans, Jeanne Sakata, Juneau, Leslie Ishii, Lia Chang, Perseverance Theatre, Sydney Laurence Theatre.